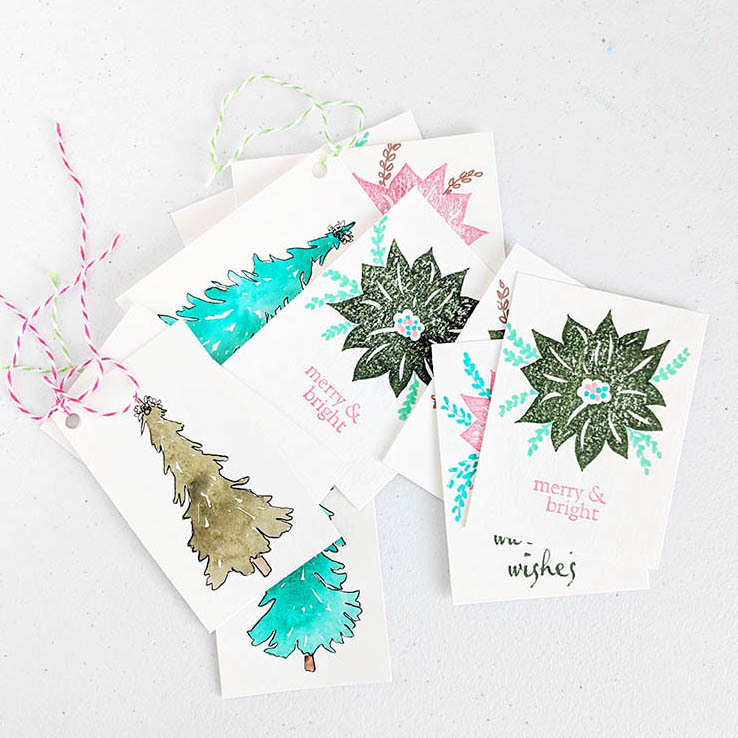 Last year I made my own Christmas Gift Tags! 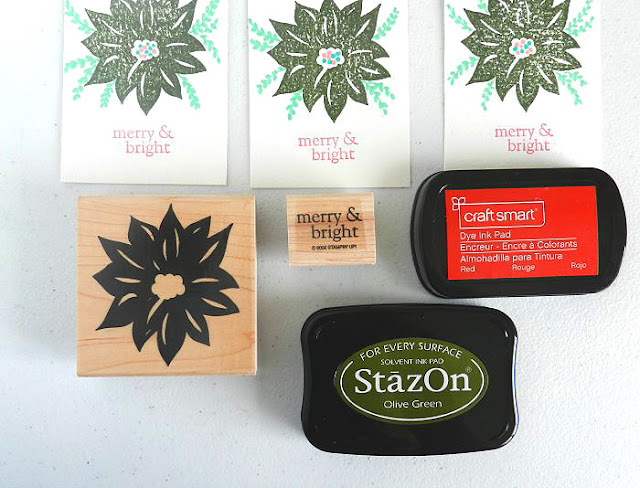 This year I hope to be able to use them all! These "merry & bright" tags I made with watercolor paper scraps, stamps, and some colorful sharpies. I stamped the poinsettia flower in green near the top of the tag then filled it out with my sharpies by drawing little branches around the flower and little dots inside of the flower. The finishing touch was the "merry & bright" stamp at the bottom. 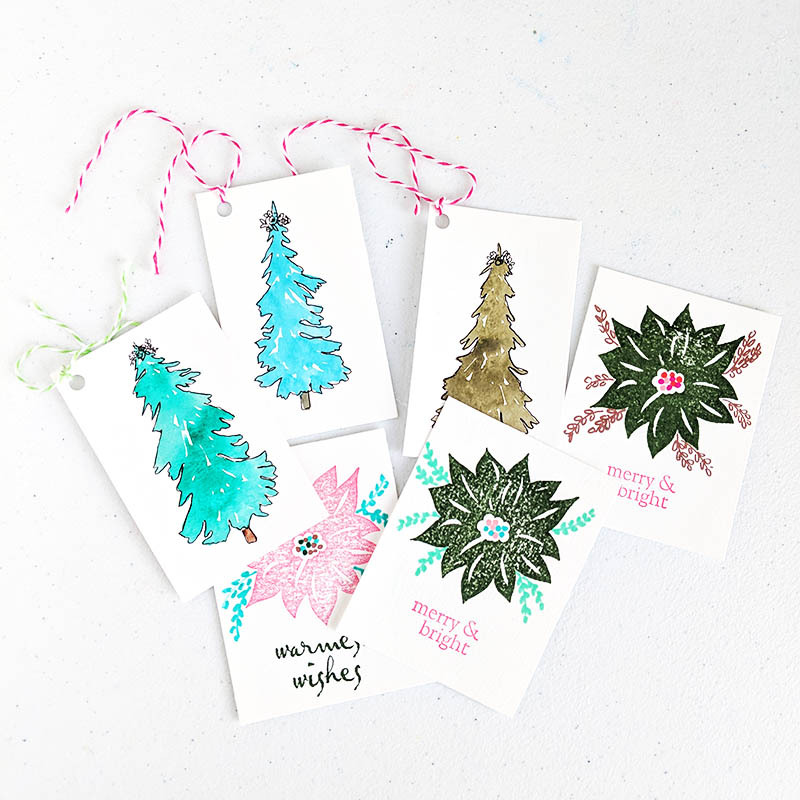 These colorful Christmas tags I created by painting small Christmas trees in watercolor on watercolor paper. 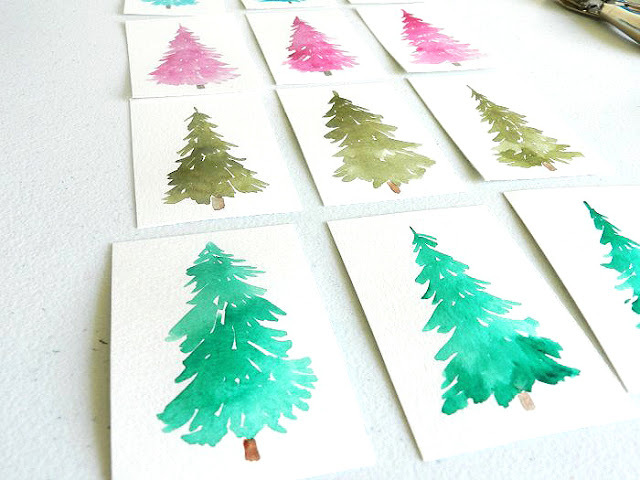 Even if you aren't an artist - trees are easy to paint with watercolor! 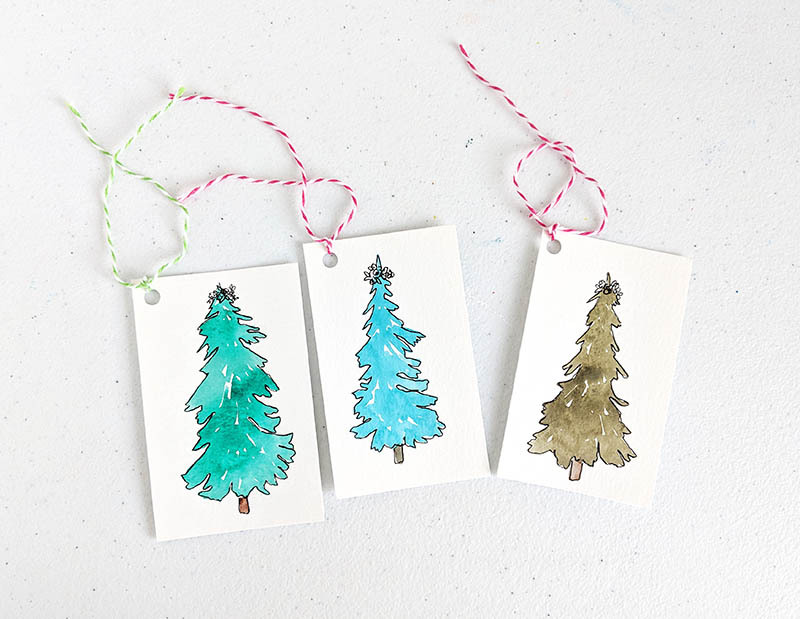 Check out my tutorial on painting Christmas trees. 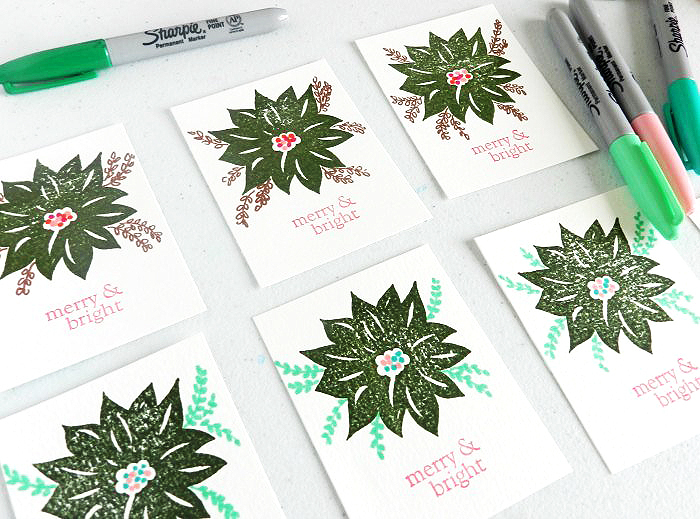 You can leave them as is or outline them in ink like I did!